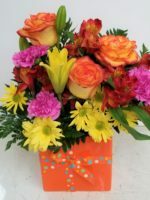 If you like our Rhymes with Orange, then you’re going to LOVE our Yellow Fellow! 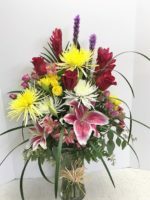 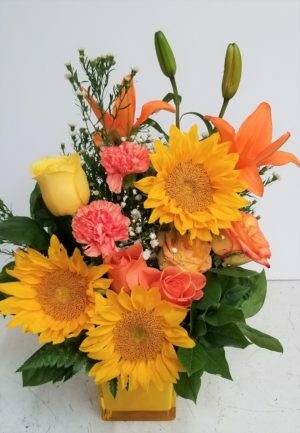 Designed in a yellow cube (or orange if the yellow is not available), we’ll add sunflowers, lilies, roses and carnations to create a design that is bright, cheerful and lots of fun! 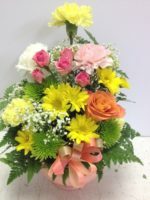 Always appropriate, our Yellow Fellow is great for a birthday or anniversary, for a thoughtful gesture of good wishes or for a desk. 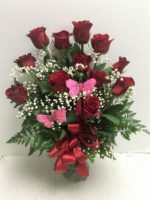 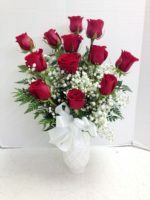 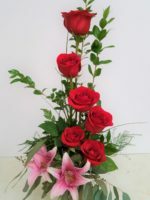 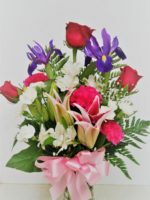 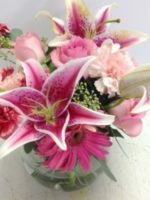 Custom designed for you, it is possible the flower choice may vary but the sentiment will not.